Step into a playful garden with French Hydrangea. Watercolor with lavender, purple and blues hues. The French Hydrangea collection is truly beautiful. 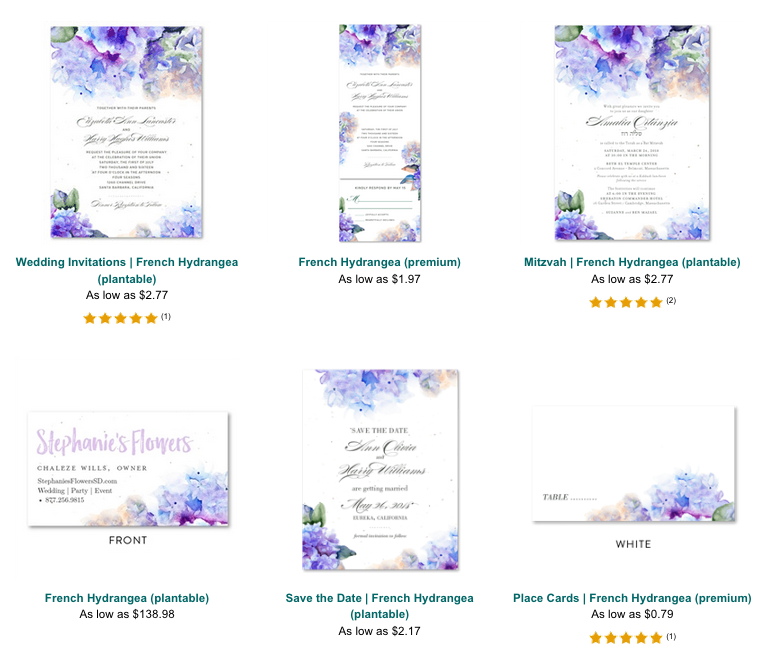 Wonderful for a botanical wedding reception. Very popular spring wedding invitation. Printed on premium 100% recycled papers. No numbers will be printed on the table cards.